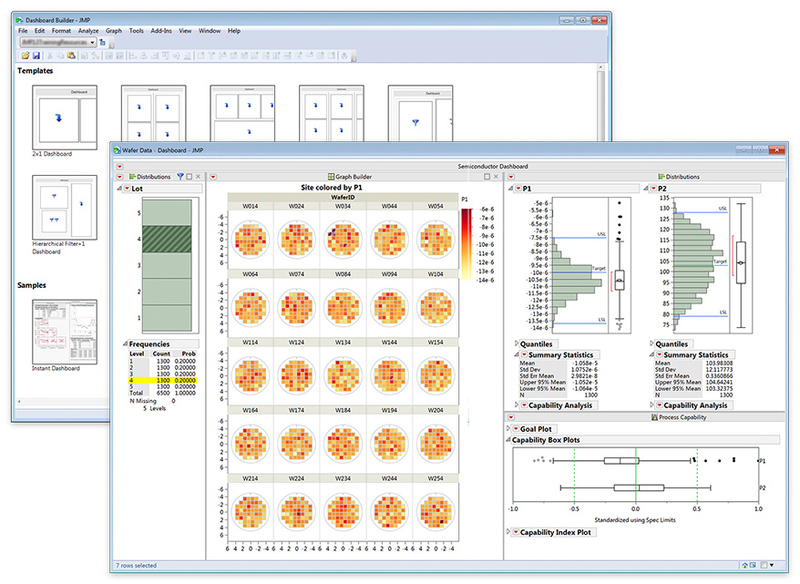 JMP is designed for dynamic data visualization and analytics on the desktop. 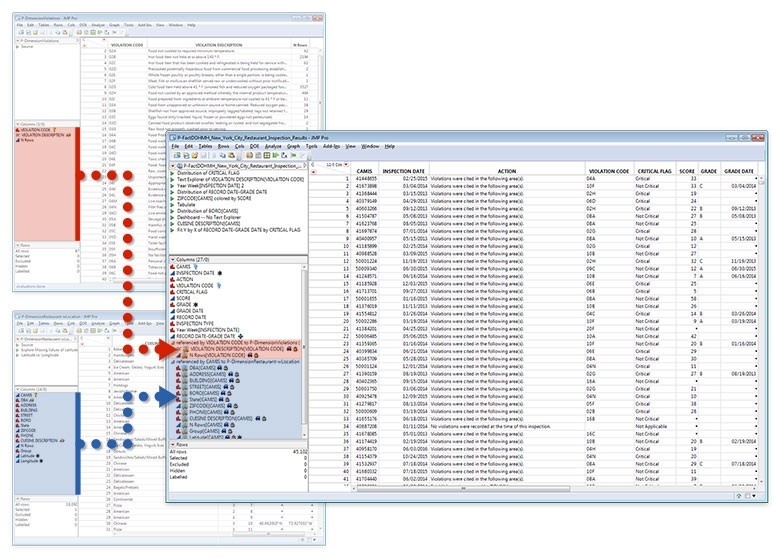 Interactive, comprehensive, and highly visual, JMP includes capabilities for data access and processing; statistical analysis; design of experiments; multivariate analysis; quality and reliability analysis; scripting; graphing and charting; and more. Because JMP makes it easy to see and explore data, it helps you spot relationships and hidden trends, dig into areas of interest, and move in new directions. And it streamlines communication of your analysis results. 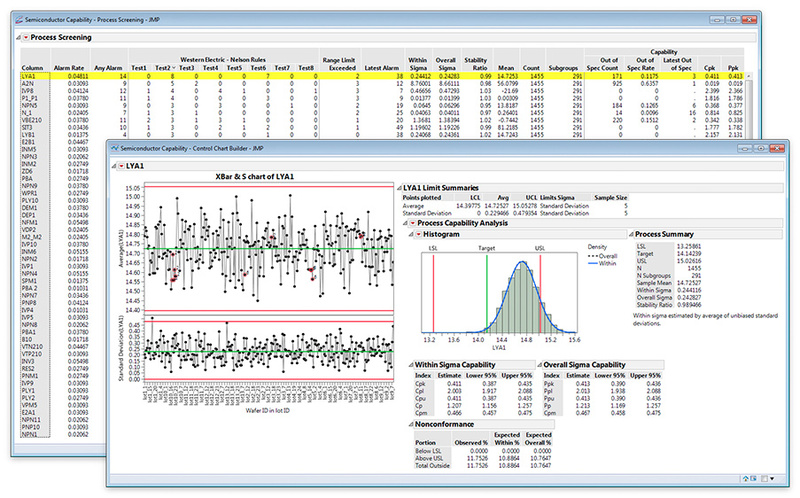 JMP Pro is the advanced analytics version of JMP statistical discovery software. It provides all the tools for visual data access and manipulation, interactivity, comprehensive analyses, and extensibility found in JMP. 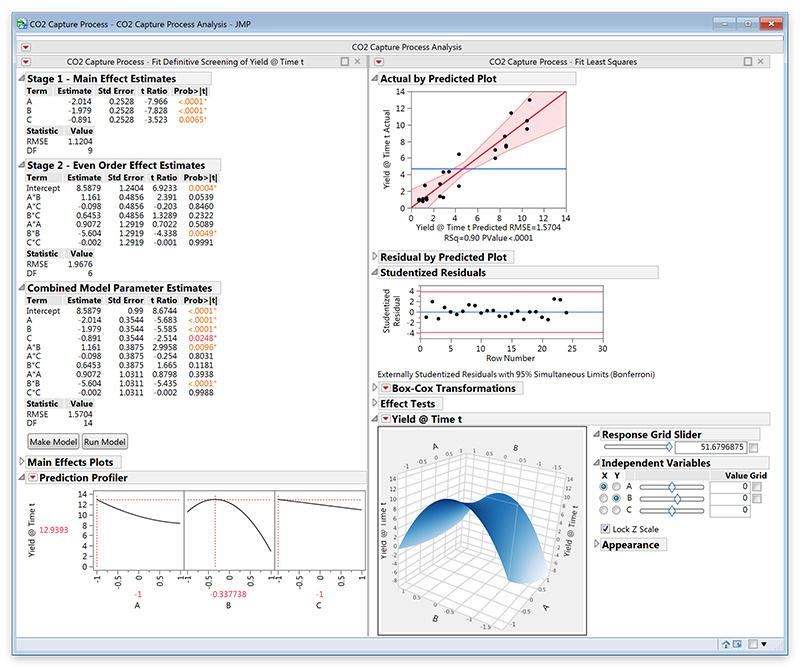 JMP Pro also offers predictive modeling with cross validation; advanced consumer research and reliability analysis; and modern statistical modeling and bootstrapping. JMP Pro can be used for data mining and for building predictive models that generalize well, especially when the volume of data is large or when data are messy or missing or include outliers. Use virtual table joins, which link JMP tables in memory without a physical join. Manage new data types, including unstructured text in surveys, comment fields, and engineering reports. Show analyses with Dashboard Builder and enhanced interactive HTML reports. Store and manage formula column scripts to organize models with a new Formula Depot platform. Use latent information in unstructured text data to enrich predictive models built with JMP Pro modeling platforms.